Safeguard Trader Review - Scam Exposed! Safeguard Trader promises to make you $33,000 every single day for life, but can it be trusted? 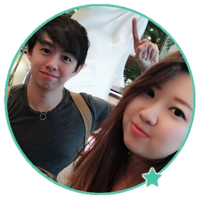 We have conducted a full investigation, and determined that Safeguard Trader is a scam! Read our detailed Safeguard Trader review to find out the details before you fall for the scam. Safeguard Trader scam exhibits some typical exaggerated hypes. As soon as you enter the homepage of Safeguard Trader, you’ll be presented with a highly exaggerated headline and an equally unbelievable sales video – which promises to make you a year’s worth of salary in a day using a FREE software. If this doesn’t raise some major red flags, I don’t know what will. Anyway, we have already received multiple complaints from our readers who lost money with the scam, so stay vigilant. All the hypes and exaggerated claims in the sales video are just marketing tactics used to catch you off-guard. It’s in the sales video where David Hefner, the alleged owner of the software tries to brainwash you into thinking that there’s free lunch in this world. Our job here is to give you an objective view of the scam, and help you in identifying the traps Safeguard Trader has set for you. Is David Hefner the real name of this man? 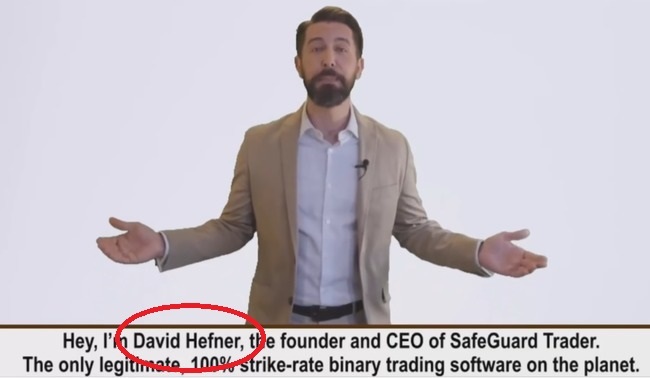 In the sales video, the founder and CEO of Safeguard Trader introduces himself as David Hefner. However, if you look closely, you may have noticed some serious discrepancy in the “Meet Our Team” segment that is below the sales video. Seems like someone can’t decide on his name. 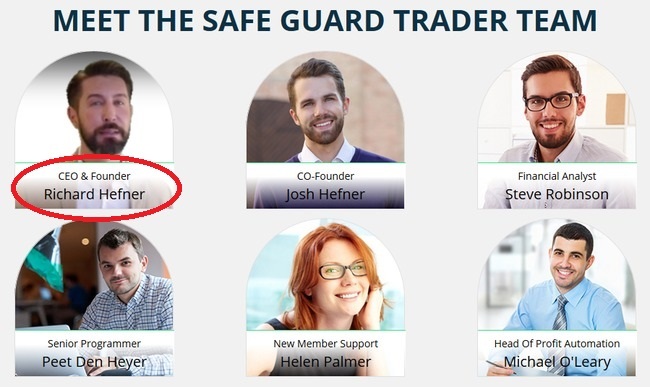 As you can see in the company profile, despite sporting the same picture, the name of the founder and CEO of Safeguard Trader software has been changed to Richard Hefner (instead of David Hefner as introduced in the sales video). This glaring mistake is not something you will find in a genuine company website. If Richard Hefner (or David Hefner) really exists, a major mistake like this wouldn’t have happened to the profile of CEO. The truth is, Richard/David Hefner is an actor hired to deliver the scam. The scam was produced in a hurry, which resulted in novice mistakes such as name error of the alleged CEO himself. But of course, some readers may think that this is just a genuine typographical mistake and doesn’t necessary make Safeguard Trader a scam. In this case, we have gathered more evidence to prove our case. Take a look at Josh Hefner, the alleged co-founder of the software (refer to screenshot above). Co-founder of the software is a stock photo? 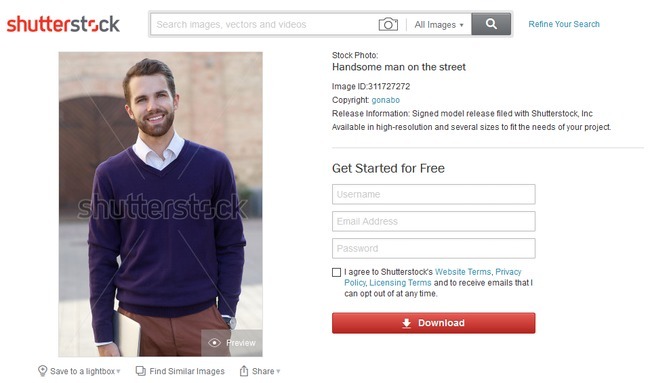 You can find the link to this stock photo here: shutterstock.com. Stock photos are publicly available photos that can be bought for a price by anyone, and displayed on their website or marketing material. 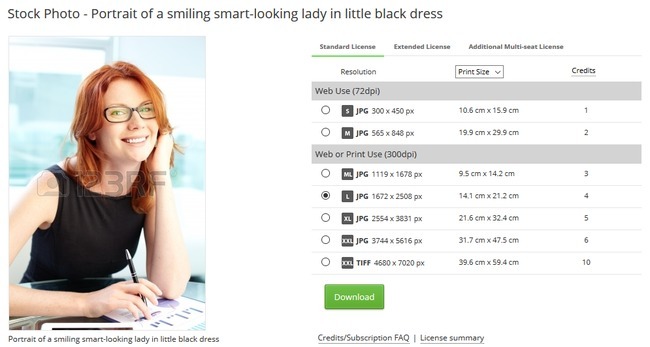 Apparently, the scammers behind Safeguard Trader software found a random stock photo on the internet and declared him as the co-founder for the software to give you a false illusion of a solid team. To make sure we drive home our point, we have found another stock photo that is used in the promotional material of Safeguard Trader scam. Compare this photo to Helen Palmer, the new member support executive of the scam featured in the company board. You can find the link to this stock photo here: 123rf.com. If Safeguard Trader is a real company that consists of real people, why do they need to use actor and stock photos to represent their team? Are these Facebook posts real? It appears that the scam goes to great length to confuse its victims by incorporating fake Facebook posts in their sales material. Social approvals can be a very powerful tool to boost the credibility of a product, and it seems like the scammers behind this software understand its importance too. They have decided to use fake Facebook posts to gain trust and to manipulate their potential victims. 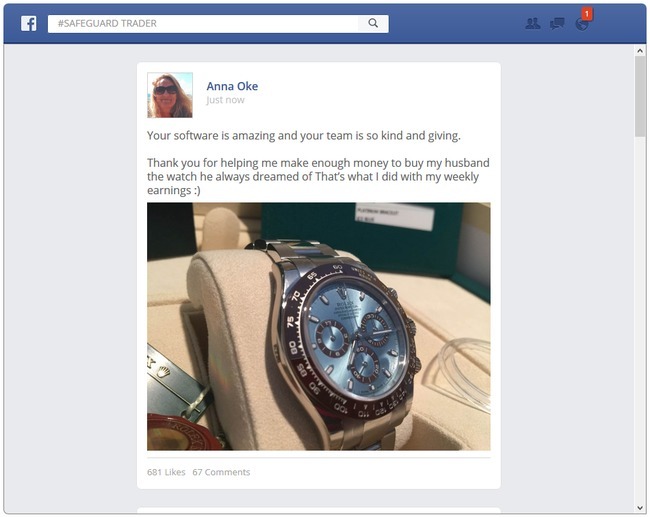 You can find the fake Facebook posts right below the sales video of Safeguard Trader scam. At first glance, they may seem like genuine social media posts. But if you look closer, you’ll realize that this is just a wall of text formatted to look like Facebook posts. Try clicking on the profile pictures, names, or even interacting with the posts by liking or commenting on them. You cannot interact with any of the posts, much less visit the Facebook profiles of these so-called members. The reason is because none of these posts are real. If you want to find out for yourself, try looking for those names in Facebook itself. You won’t find any of the profiles shown, because none of them exist. Secrets are hidden deep within the disclaimer. 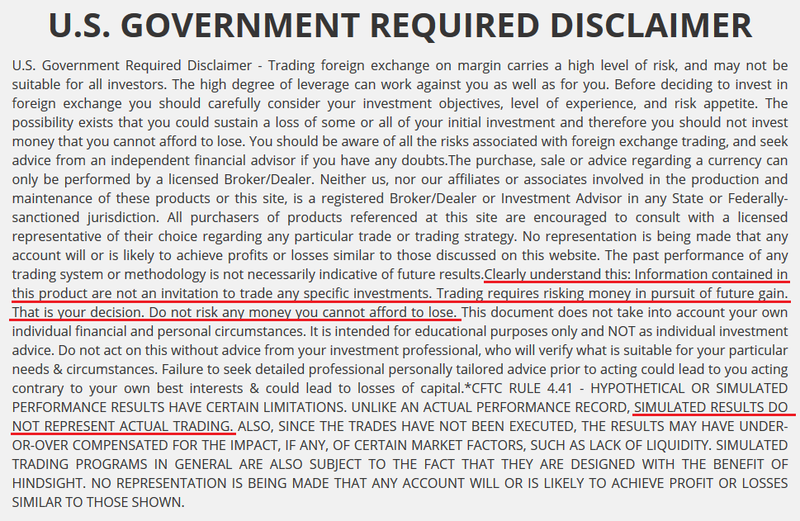 Despite giving you multiple guarantees and promises to make you rich, Safeguard Trader scam has some secrets hidden in their risk disclaimer. You can authenticate the terms quoted by visiting this link: safeguard-trader.co/disclaimer. NO trades have been executed using Safeguard Trader software. All results shown are simulated. Is Safeguard Trader a Scam? YES, SAFEGUARD TRADER IS A SCAM. We strongly advise you to stay away from the scam if you don’t want to lose your hard-earned money. I received a shady email that links me to this software. Lucky I searched before signing up. Thanks! You’re welcomed Marco, stay vigilant!